Gallons of booze consumed: probably illegal in some states. Weight lost/gain: 3.5lbs lost. Guess that’s the result of adrenaline rushes, parties, Infected Mushroom, long walks in the hallways, not much food, and lots of alcohol. Overall this was personally the best Vegas trip I’ve had. I did take up a little too much on myself that I should have (as a couple fo friends duly noted, and excused me for some fuckups due to that), and I wanted to meet so many more people that I managed to somehow miss this year. Nevertheless, some of the experiences were priceless – like having a chat with Infected Mushroom and finding out that Erez used to run a BBS back in the days, and that (although I don’t like to mention my darker days of hacking) we “knew” the same scenes. Having the opportunity to help out with BSidesLV and being amazed again by our community and what it can achieve. Being inspired by so many people, and learning constantly. These are the things that really make up the week of BlackHat/BSides/Defcon for me. It’s not necessarily the talks, but the socializing and the opportunity to pick people’s brains on a personal basis which makes it worthwhile to get to the levels of exhaustion that this week takes you to. 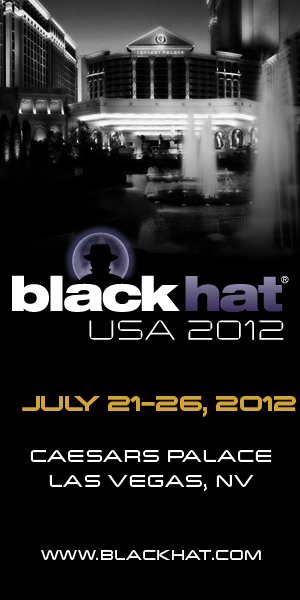 One of the best things that probably happened to the research on SexyDefense is that it has been accepted to BlackHat Briefings in Las Vegas! It is truly one of the highest indicators for me that we are on the right track in making some change in the defensive paradigm, especially in light of the newly added defense track for BlackHat. An opportunity to capture the attention of a large and high-visibility audience while putting a harsh mirror in their faces is something that I have been looking forward to do for some time. So there you go – Vegas this year is shaping up to be really interesting. With BSidesLV (in which I’m also involved as a volunteer and mentor) running along BlackHat, and the 20th DefCon, you really can’t miss it.